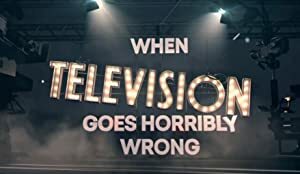 A collection of some of the most infamous moments in television history from around the world featuring technical difficulties, accidents, mishaps and on-screen meltdowns. Narrated by Sarah Greene with contributions from TV stars. A behind the scenes documentary featuring interviews with the cast and crew of The IT Crowd. Filmmaker Robb Leech is desperate to understand his stepbrother Rich’s transition from middle-class white boy, to convicted terrorist.